Living in a truly global economy has international commerce on the rise. While it’s great for business, a unique set of risks comes with this new marketplace. Extending credit to a company leader overseas takes extra care because of the added risk and logistics involved in business collections on a worldwide scale. Political instability — Depending on where your international business transactions lie, political tensions may affect your ability to do business and collect on payments. When a country’s government is unstable, internationally transferred money may be frozen or lost altogether in the process. Doing business in stable countries carries much less risk than unstable locations. Exchange rate fluctuations — Always be sure to calculate the loss or gain you can expect to encounter when doing business in a country with different currency. Know the exchange rates and plan for that in your risk assessment so you are not caught off guard with a profit or loss difference due to exchange rate fluctuations. Taxation and customs — Laws, taxes, and customs rates are unique to each individual country. Understand and account for these fees based on the country of business ahead of time to lower your risk with doing business in any given place. Local representation — You can improve on conducting business in a foreign country by hiring a person to act as your local representative.2 This person can help complete transactions from start to finish with his or her knowledge of the area, laws, language, customers, and everything else that goes into business deals. While this person will add additional cost to the bottom line, having a local representative is a good risk management strategy. Collections barriers — Doing business and collecting payment in a foreign country always comes with a series of logistical challenges that include language barriers, differences in time zones, different observed holidays, lack of boots on the ground, and many others, depending on where the business is taking place. Hiring a local representative can help solve some of these collections barriers. As with all business decisions, the risk of participating in international business must be worth the reward; by understanding who your buyer is through the use of proper analytics, you can succeed in international business dealings. International risk management and business collections can be a bit trickier, but opening your accounts receivable to a whole new world of opportunity can definitely be worth the risk. Just as you would with a domestic customer, do not hesitate to request financial statements to give you a clear understanding of the business leaders you are working with. Study these documents and learn more about the country in which the transaction will take place. Doing your homework ahead of time is a beneficial step in ensuring a successful outcome. Advance payment — If you are unsure if the customer will pay his or her credit, ask for either total or partial payment in advance to help you determine his or her ability to pay. This will speed up the process and significantly lower your risk. However, many foreign clients will not agree to go this route. Letters of credit — When a letters of credit system is used, the customer’s bank in her or his country agrees to take on the payment with the buyer having promised the funds for payment. A coordinating U.S. bank will confirm this letter. Your business will collect payment once the U.S. bank has the money from the foreign bank and all terms of the agreement have been met. 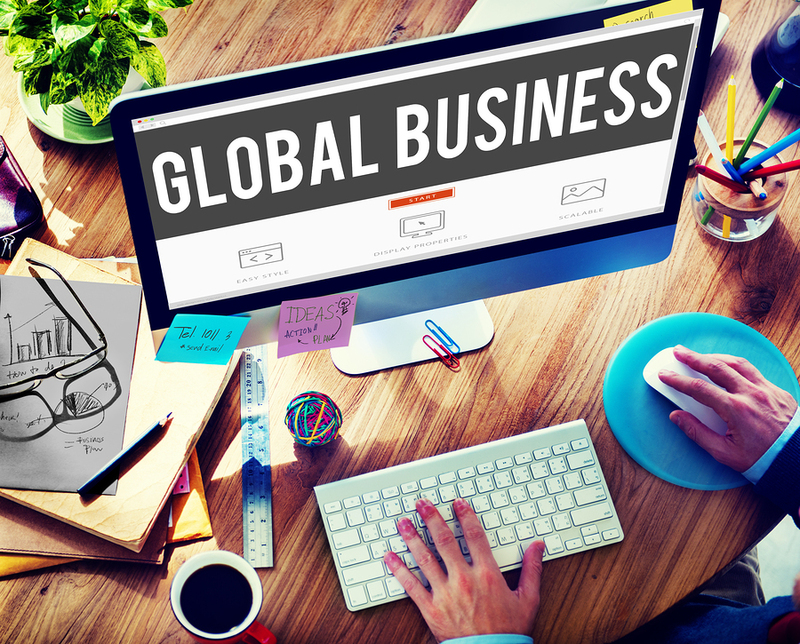 This process can be lengthy but is a low-risk method of doing international business. Credit card payments — For lower dollar amount transactions, clients can make payments via credit card. Some international fees may apply, but overall — as long as the transaction goes through — this is a rather safe way to transfer money between countries. This method is not viable for higher-value transactions. Open accounts — Opening a credit account as you would for a domestic business partner is one of the riskiest collections methods in international business. You simply extend a line of credit, bill for the transaction, and wait for the customer to pay under your standard terms. You can use this method if the buyers are stable, have healthy credit histories, and are well-established. However, do not consider this method if you are unsure of a potential business partner’s ability to pay. Your local commercial credit management agency partner can also help you determine whether an international business leader is a safe partner. Collections agency experts can also help you understand the local laws, taxes, and other factors involved in your global transactions. This entry was posted on Wednesday, October 5th, 2016 at 12:59 pm	and is filed under Collections. You can follow any responses to this entry through the RSS 2.0 feed. Both comments and pings are currently closed.